The graph shows reasons to consider keeping an existing cable/satellite provider in North America as of the third quarter of 2016. 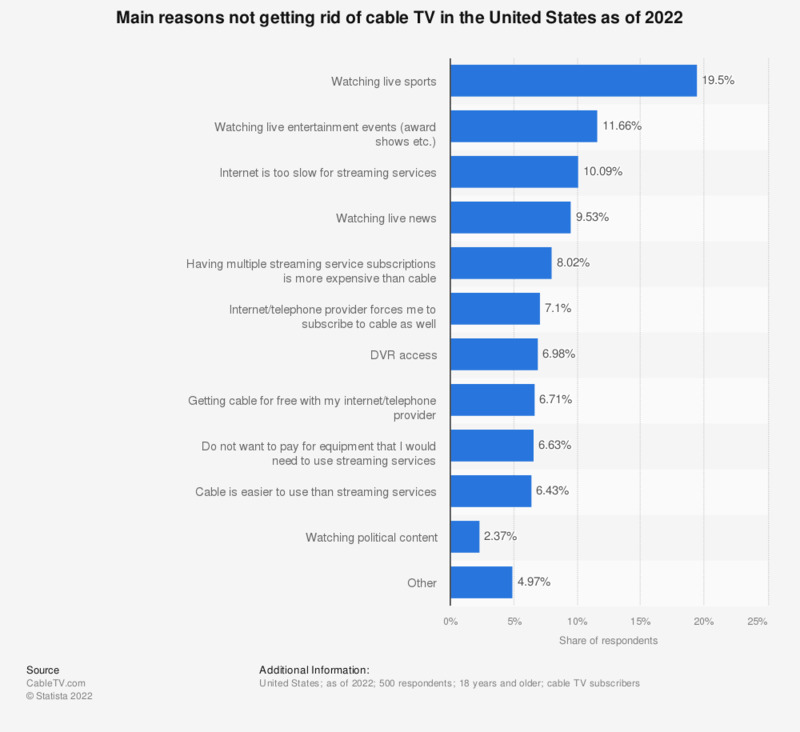 During the survey, 65 percent of respondents who are planning to change or cut their provider stated that they would consider keeping their existing service if they could choose and pay for only the channels they typically watch. The source does not provide information on type of survey used.